The last images that I posted weren't accepted in the gallery because they were Oil Paintings so from now on I will post only my Digital work here. You can check my CGportfolio to see more works including some Dutch Flemish Oil Paintings. 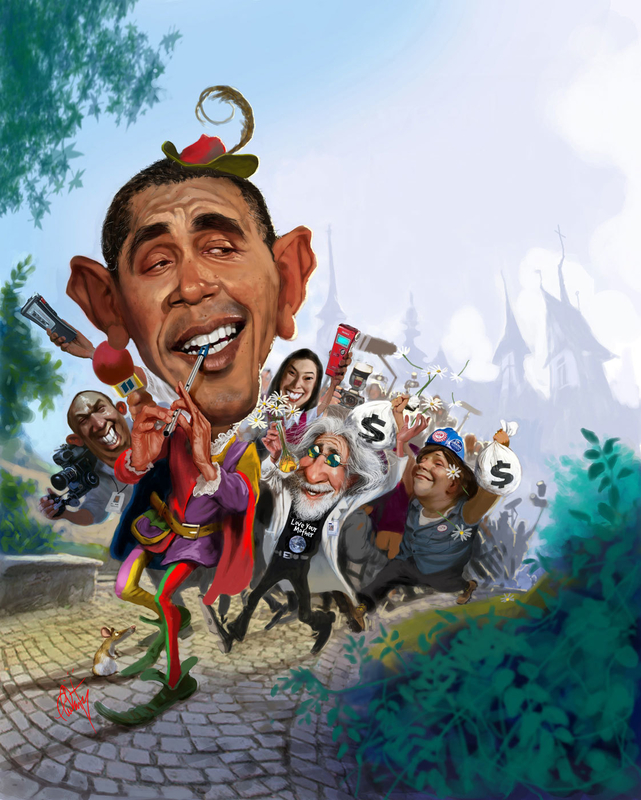 This image is entitled Obamaas Pied Piper leading out all the special interests. It is a cover made digitally for the Weekly Standard in 2009.